Proctors have been serving industry since it was established in 1798. Starting out on the banks of the Tyne as ship merchants as the industries around us have changed we have changed with it. We have a very varied product range and equally varied customer base to go with it, supplying everyone from doctor’s & dentist’s surgeries, schools, local authorities, industrial business’ and automotive customers. We supply self-employed individuals right up to well-known multinationals. We pride ourselves on providing a high quality, reliable and stress free service with the aim of satisfying as many of your procurement needs as possible reducing the amount of time spent by your company searching for good quality products. 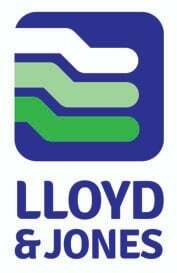 On the 09/05/2018 Lloyd and Jones Engineers Ltd bought the trading assets of Thos. Proctor & Son Ltd, now trading as Proctors.